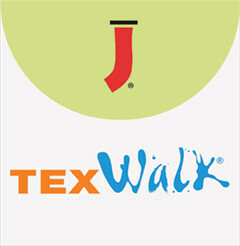 TexWalk® is a printable slip resistant media which can be used for indoor floors and walls and short-term outdoor application on smooth surfaces. Repositionable, textured vinyl with fabric backing. This product can be applied to carpet, tile, wood, metal and painted surfaces. ASTM D-2047 & E-84 Class A certified. 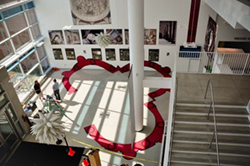 Can be used for tradeshow carpet and floor graphics and POP applications. Compatible with solvent, UV curable and latex inks.